Christmas is a time of joy. A time mostly all western human beings look forward to during the rest of the year. Family gatherings that take place once a year where siblings set aside their differences for a while and forgotten relatives seem closer than what they really are. People everywhere experience a subtle change of humor; life suddenly makes a positive turn. Everybody is okay with singing songs, sending and receiving Christmas cards, putting on colorful reindeer or snow flakes pullovers, setting a giant tree on the middle of their living room, and even with the idea of an old fat man invading houses by night. Everything is possible during Christmas; every thing you can imagine as absolutely impossible seems to have a second chance during this time and cinema is almost always responsible for believing dreams can come true, but not only matters of love, because revenge, hate and death also have a special place during the year’s last days. Not everybody seems to like Christmas as much as others, some surely have suffered the worst part of the season, because not all that glitters is gold, and interrupting people’s holidays and quality times with friends and family after a whole year waiting for these days to come seems like a perfect fit for harmful attacks and situations. The happiest time of the year has a dark side horror filmmakers have taken advantage of in order to compose disturbing narratives set in a time and a place intended to be peaceful and jolly. In a time when home becomes a fortress of peace and quiet, several directors and their hateful and savage antagonistic characters have passed on to us an unstable and unpleasant feeling; home invasion, disrupted and deranged characters and perfect timing combined convey these films the gloomy atmosphere that otherwise, during Christmas, would be impossible to frame. A medium is brutally murdered by an enigmatic killer while witnessed by a professional jazz pianist that resolves to unveil the mystery of its identity with the help of a journalist brought to life by Daria Nicolodi, Argento’s future life partner. In Dario Argento’s first masterpiece, unusual for a film transitioning from a cycle that differs from the following one but reaching the summit of its most creative and genuinely giallo period, the power of scenography supporting narrative is amplified (as in Edward Hopper’s Nighthawks, 1942 recreation seen before the first conversation between Mark and Carlo). 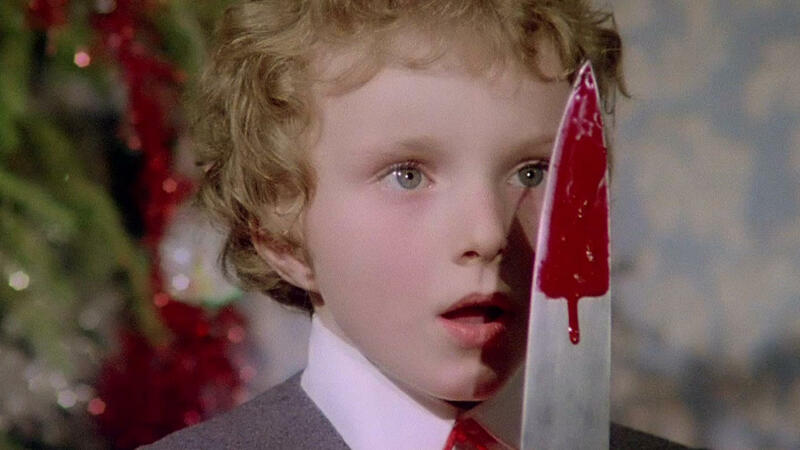 Disturbed childhood is the film’s storyline, showcasing a catalog of macabre drawings, bloody hanged dolls and Claudio Simonetti’s Goblin music with child-like hints, headed by the lullaby School At Night, but not an ordinary torment or pain, but a child afflicted on Christmas days. Christmas is mostly enjoyed by kids, that goes without saying, but some kids also enjoy relieving themselves from their suppressions once they arrive to adulthood and sometimes this implies killing. A short scene of a living room with a Christmas tree cuts off the opening titles where a murder is seen through the shades on the wall, and while the knife falls and collides with the floor, Argento also drops a hint to start off with the film. Julien Maury and Alexandre Bustillo create an extremely violent film set on Christmas Eve, when a pregnant and traumatized recent widow decides to stay home alone during the night and a stranger enters the house with no good intentions. Not much is left for her after a car crash but what she has inside herself. “Inside” may just seem like a horror or slasher film pertaining to the French’s extreme violence new wave set on that precise day in an unplanned way, although it has strong psychological content and the director’s double-dealing intentions to create characters that have a say can be noticed. Maury and Bustillo know their way between atmosphere and disturbing environment creation, an un-breathable air is sustained during the filmstrip and the graphic violence sequences are gracefully and virtuously captured, empathy towards the main character is gained through its condition and last but not least, its utter strength and will to survive. Although it is, without a doubt, the most brutal and violent of the films in this list, “Inside” is also the only one dealing with heavy dramatic issues almost every human being can relate to. There’s not much to say about “Gremlins” that hasn’t been said before. A Mysterious Asian man selling weird things, a father in search for a special gift and the gift’s instructions manual. Joe Dante in a unique state of grace creating an iconic frame in fantastic genre and adding a new concept into popular culture. Not formerly a horror flick, but surely the best way to enter fantastic cinema in a familiar way, all audiences style and showing that Christmas can be seen from another side. 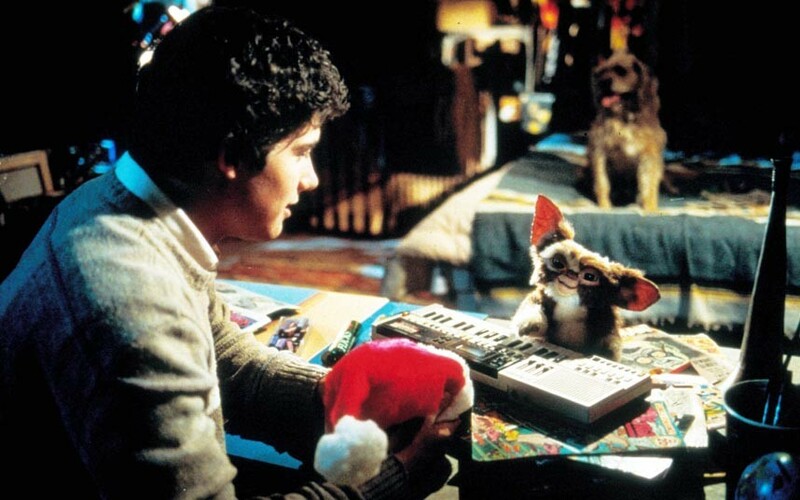 In a moral story form, “Gremlins” states the issues of a type of presents (can also be extrapolated to other festivities’ presents) that entail a huge responsibility, maybe one of the few films set on Christmas that uses its context to explore concerns regarding trustworthiness and reliability. 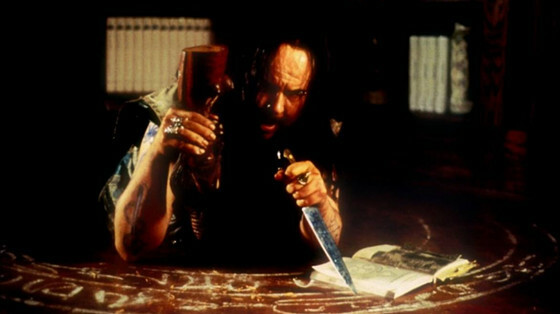 The film is divided in two distinguished parts, being the first one narratively driven, introducing characters and scenery to involve the viewer in the storyline, leading later, during the second differentiated part, into a spiral of madness where everything is destroyed and the idyllic settings crumble accentuating the criticism to a supposedly fake Christmas spirit. Steven Spielberg knew how to turnover Chris Columbus’ script in order to make it more sellable and digestible by a wider audience spectrum; “Gremlins” was intended to be bloodier, blacker and more violent but it ended anyway as the iconic and macabre tale it is today. After gaining some exposure and several prizes with two shorts (“Rare Exports Inc.”, 2003 and “Rare Exports Inc. – Safety Instructions”, 2005), Jalmari Helander produced and directed his first feature film, “Rare Exports: A Christmas Tale”, that takes place on the Korvatunturi mountains, in Lapland, Finland, where scientists are carrying out an exploratory drilling when locals start to feel annoyed and perform their own investigations, lead by Pietari, a little boy that discovers Christmas best kept secret. While presenting the dark and sinister side of Santa Claus as an obscure mystery is not that innovative for the decade the film belongs to, its impeccable cinematography and black humor tinge the white snowy landscapes of a horror fable loaded with comical depth, unpleasing the naïve and gullible aesthetics other countries have of this figure’s features. Álex De La Iglesia’s third movie is probably one of the best flicks in his filmography, winning six Goya prizes, the film takes over Satanism as a central content, meddled in the storyline through the apparent birth of the Antichrist. This subject is inherent to horror genre but De La Iglesia, in his macabre aforementioned irony, unfolds with good sense, towards madness, into wild comedy with a costumbrist touch. The director’s purpose is to charge against a corrupt and decayed society, already insurmountable. “The Day of the Beast” undertakes faith from a deep social root. Junk TV and media manipulation, violence and delinquency, mass consumer behavior and drugs are objects of study. What could be branded as an apology for bad taste is in fact an explicit complaint of it. The metaphor of Christmas ruin, with the Three Wise Men executed by firearm, is an option in understanding traditions. The metaphorical intention continues in questioning an obvious malfunction in the world we live in. José María is a heavy metal fan (portrayed by Santiago Segura), a paradigm of a candid meek multitude in contrast with Cavan, the occult arts professor, as the image of abuse, outrage and hoax suffered by the masses, profitable only for a few. Facing this distressing outlook it is reasonable to believe that end is near.